This reflects the Pierce County team’s progress toward their goal as of Day 100/100. 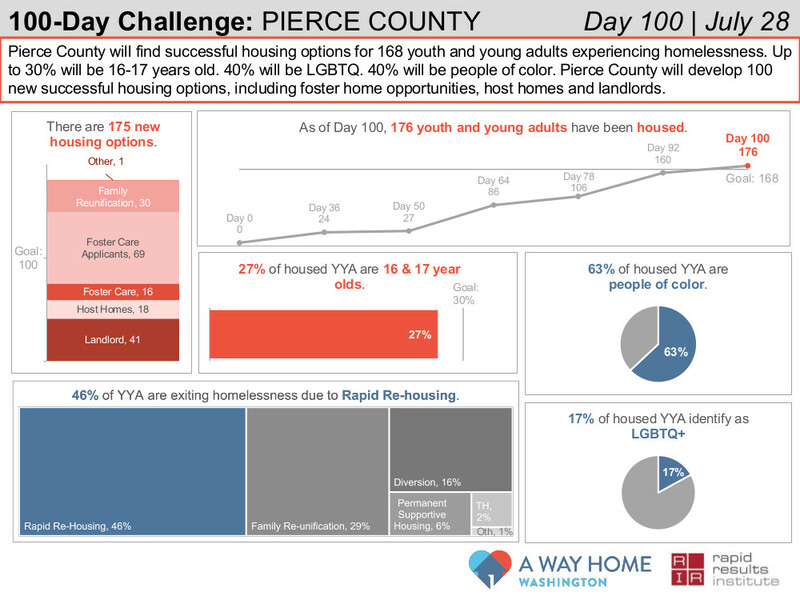 The most valuable part of the 100-Day Challenge model is the opportunity it presented for Pierce County to learn about its current system, and to experiment with new ideas. The 100-Day Challenges concluded on July 29, 2017. *Updated as of August 11, 2017.